Film critics and historians all agree that “The Godfather”, released in 1972, is one of the greatest films ever made. It plays somewhat like a Shakespearean tragedy as the youngest son, who’s been shielded from the family business of organized crime, must assume power as the Godfather to protect and keep his family together. The movie would go on to become the highest grossing film of the year, and won Oscars for Best Picture, Best Actor for Marlon Brando, and Best Adapted Screenplay for Mario Puzo and Francis Ford Coppola. Film critics have also hailed the movie as a masterpiece in cinematic storytelling. It’s surprising that Francis Ford Coppola was able to deliver such a powerful film with all the pressure he was under at the time; the studio behind the film wanted to fire Coppola, and a replacement director was present on set during a good duration of the production waiting to take over if Coppola was axed. The studio also disapproved of his choices of actors, especially Marlon Brando and Al Pacino, and Coppola had to fight hard to get both men cast in their now iconic roles. 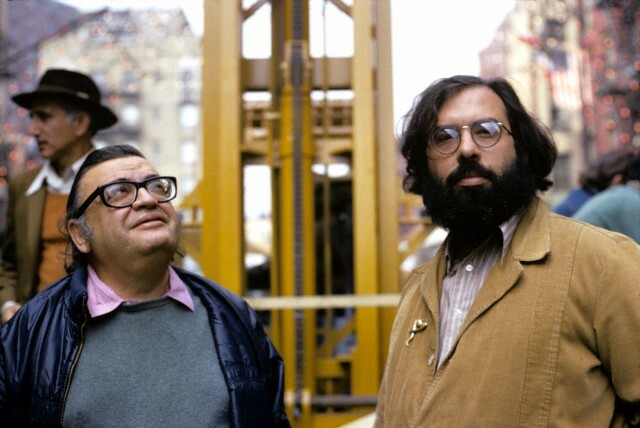 The up and coming director at the time overcame huge obstacles and created a piece of art that has entertained cinephiles for decades, but Coppola’s greatest accomplishment was creating a sequel that, on many levels, surpassed the original masterpiece. “The Godfather” romanticized the life of organized crime by telling the story as a family drama while “The Godfather: Part II”, released in 1974, gives an unflinching look at the dark side of power and vice, giving the sequel a more realistic portrayal of the Mafia, and making the second movie the superior film in the “Godfather” trilogy. Marlon Brando’s portrayal of Don Corleone is one for the ages. The performance transcends the craft of acting, because Brando disappears and the viewer actually believes Don Vito Corleone is a living breathing person instead of an actor playing a role. The sequel tells the story of how a young Vito Andolini escapes certain death in his birthplace of Corleone, Sicily after his mother and father are murdered by a local Mafia Don. 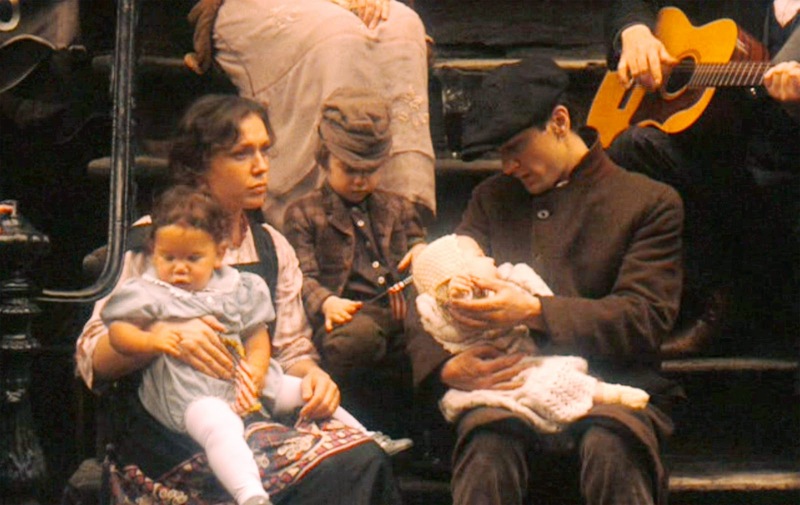 The young boy travels to America, living the immigrant experience all by himself, and Vito’s last name is changed from Andolini to Corleone during a clerical error when he arrives at Ellis Island. Robert De Niro takes the mantle from Brando and accomplishes the same acting feat by becoming a younger Vito Corleone; his performance is just as powerful as Brando’s, and being a method actor, De Niro lived in Sicily prior to filming to learn the local dialect. Just like Brando, De Niro would go on and win an Oscar, this time for Best Supporting Actor and is the only American actor to win an Oscar by reciting his dialogue in a foreign language. We watch as De Niro delivers a restrained and subtle performance of a hard-working immigrant who struggles to raise his small family after losing his job. Vito is reluctantly introduced to a life of crime by his neighbor Peter Clemenza, but takes the leadership role once Vito assassinates a local neighborhood gangster Don Fanucci. De Niro’s performance is brilliant because throughout the transformation, he remains humble and devoid of ego, and this storyline retains the same romanticism from the first film as opposed to the darker storyline belonging to Michael Corleone. 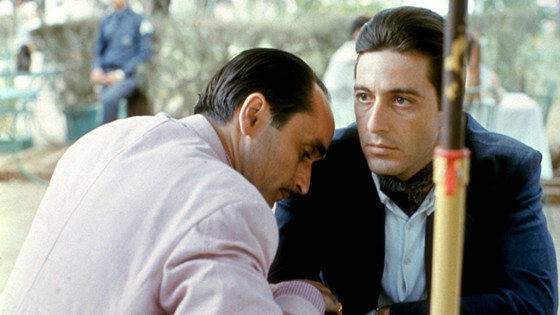 The movie juxtaposes the lives of Vito Corleone and his son Michael Corleone at similar ages, and is a prime example of “the sins of the father are to be laid upon the children.” Vito slowly rises to power and would go on to achieve wealth and power, control over politicians and judges, the ability to form alliances with other powerful gangsters, and to have many loyal capos to do his bidding. However, Don Corleone’s sins have been passed on to Michael. As his father had influence in the world of politics, his son is being dragged before a congressional hearing to testify about his connections to organized crime, and a local senator in his new hometown of Las Vegas shows nothing but content for Michael. A former business associate of Don Corleone, Hyman Roth, is trying kill his son in secret and utilizes one of his loyal capos to undermine Michael’s power. The foundation that Don Corleone built is coming back to haunt his son, bringing him nothing but grief and tragedy. The parallel storylines prove that no one can escape karma, and even if Don Corleone didn’t suffer or pay for all of his sins, his son Michael must surely answer for them. The young director burst onto the scene as part of the new Hollywood wave of filmmakers; after co-writing the Oscar-winning screenplay for “Patton” starring George C. Scott, Hollywood took notice. After several well-known directors turned down the opportunity to direct “The Godfather”, including Sergio Leone, Peter Bogdanovich, and Costa-Gavras, producer Robert Evans wanted an Italian-American to direct the film, and Francis Ford Coppola was hired for the job. However, soon after signing on as director, the nightmare began for the young filmmaker when Mario Puzo’s novel became a huge bestseller, and suddenly, studio executives had second thoughts about hiring Coppola. When “The Godfather” was released, it became a commercial and critical success, and Paramount wanted to produce a sequel. However, Coppola didn’t want to direct the next installment after the horrible treatment he received from the studio; Coppola agreed to produce the next film, but wanted Martin Scorsese to direct the sequel. The studio made nice with Coppola by buying him a Mercedes, and he eventually agreed to direct Part Two. While the first “Godfather” was more of a nostalgic experience, the sequel has more heart, even though the second film is darker than the first. Coppola’s skill at bringing out incredible performances from his actors, as well as his storytelling abilities, would earn him an Oscar for Best Director, and Coppola is the reason why “The Godfather: Part II” is hailed as one of the greatest films of all time. 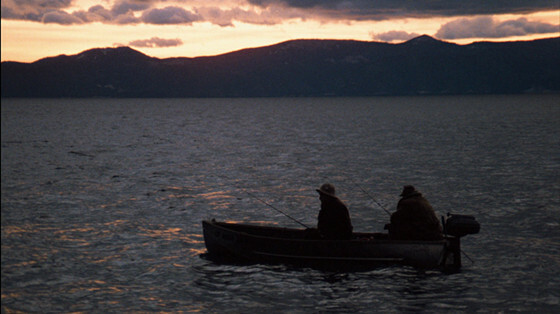 The late cinematographer Gordon Willis is one of the most influential directors of photography of all time. His style of underexposing his films and his use of shadows prompted his best friend and fellow cinematographer Conrad Hall to give him the nickname “The Prince of Darkness”. His style of photography has influenced films up to this very day; the technique of lighting he pioneered is known as “crushing the blacks”. Strasburg was a legend in the acting community and is considered the father of method acting. As the director of the Actors Studio in New York, he trained countless actors, including Paul Newman, Al Pacino, Dustin Hoffman, and Jane Fonda. Playing the role of Hyman Roth, Strasburg proved that not only was he a great teacher of the craft, but he was also an incredible actor himself. 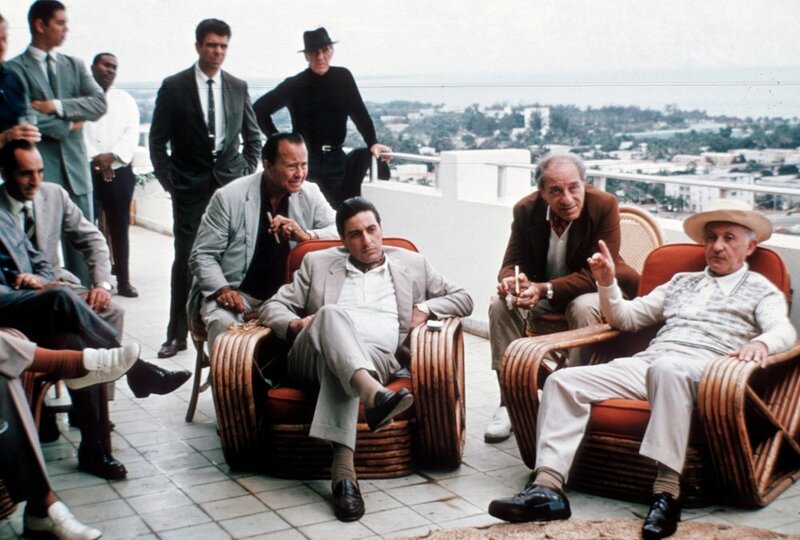 The character of Hyman Roth is based off of the real-life gangster Meyer Lansky, and Roth seems more dangerous than the entire five families which Michael eliminated in the first “Godfather” film. Roth attacks Michael on two fronts: he tries to have him killed, and he has former associates of the Corleone family testify against Michael at a congressional hearing, which can lead to incarceration. Michael and Roth play a cat-and-mouse game of who can eliminate who first, and Strasburg gives a powerful performance of a old man pretending he has one foot in the grave, all while plotting to bring down Michael Corleone. In “The Godfather”, we rooted for Michael Corleone when he avenged his father’s assassination attempt by gunning down Sollozzo and a crooked police captain inside a restaurant. When he took out the heads of the five families, Moe Green, and his brother-in-law once his father passed away, the audiences supported the bloodshed because we all knew Michael did it reluctantly as he tried to protect his family. But in “The Godfather: Part II”, Michael is a very different man; he’s embraced his role as the Don and has become a darker individual, one who’s intoxicated with the power he wields. Michael gives the orders to murder an innocent prostitute so they can frame and control a senator, and at this point, the audience can no longer support his bloodshed. He exiles his wife once Michael learns she had an abortion, snatching her children away from her. After finding out his brother betrayed him in unwittingly helping Hyman Roth, he exiles his brother and puts a death sentence over his head. And once Michael’s mother passes away, he pretends to forgive his older brother Fredo as he gives the signal to his enforcer Rocco to proceed with the hit. Toward the end of the movie, Michael has outwitted Hyman Roth, but is so hellbent on killing his nemesis that he sends one of his best enforcers on a suicide mission to kill the elderly gangster. When Michael finally kills Fredo, we realize he’s lost his soul and become a monster. 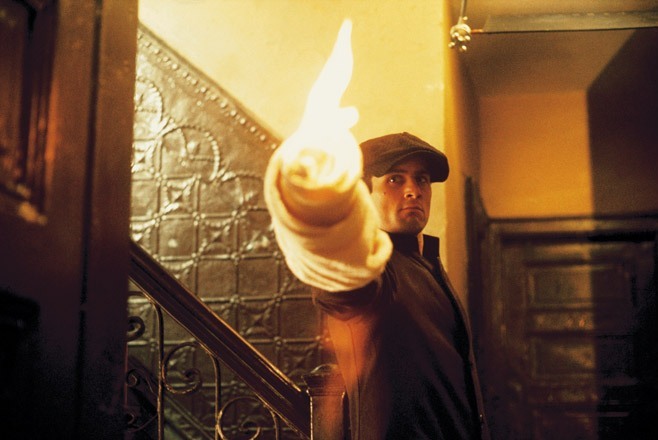 This is the brilliance of “The Godfather: Part II”; it strips away the romanticism that pop culture has with the gangster lifestyle, letting the viewer know that the price is too high to pay for the wealth and power that comes with organized crime. And the last scene is almost poetic as Michael sits all alone in his backyard contemplating, realizing he can never get his soul back.